L. Benjamin Rolsky (Monmouth University) responds to Russell Johnson’s (University of Chicago) essay, “The Struggle Is Real: Understanding the American ‘Culture War,’ ” which is featured in the July issue of the Forum. Three recent books all claim the culture war is over, though they come to different conclusions about why. Their different points, Johnson argues, illustrate not why the culture war is over, but rather why it is so endlessly fascinating. In response to these books, he clarifies what exactly the culture war is, and how to understand in what sense it is still a part of American life. 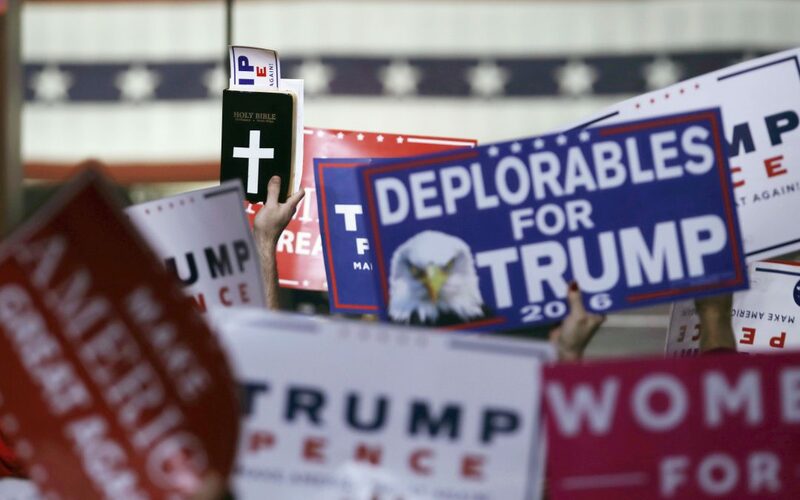 The culture war brings together a diverse array of political, religious, and cultural ideas into a neat dichotomy that has managed to persist through decades of social change. Russell Johnson’s essay takes on one of the most convoluted subjects in both the Humanities and the Social Sciences today: the Culture Wars. He executes this feat through an examination of three different texts that defend a similar position—namely, that the Culture War is the stuff of history. Johnson’s selection of texts is astute because it reminds us of one of the more compelling characteristics of what could cautiously be understood as “Culture Wars Studies.” Each author represents his/her own discipline to the letter (Christian Ethics/Sociology/History), thereby illustrating just how diverse the subfield is not only in terms of content but more importantly in terms of methodology in the study of American cultural warfare. In response to the idea that the Culture War has come to an end, Johnson argues that a “closer look at the protean history of the culture war since the early 1960s shows that it cannot be reduced to any one issue, nor should we be too quick to declare it over.” He also argues that the Culture Wars can be understood as both a demographic phenomenon as well as a rhetorical one when explaining their persistence in American public life. My response raises questions that address three themes in the study of the American Culture Wars: evidence, methodology, and terminology. Stated slightly differently, my comments will foreground the “how” of this emerging subfield over and against the “what” of its varied contents. The clarity of Johnson’s story is admirable and much appreciated, but I wonder to what extent it reflects some of the analytical blind spots of the longer historiography it elegantly represents. Similar to the argument found in historian Andrew Hartman’s text, Johnson contends that the Culture War begins in 1962 with the Supreme Court ruling Engel v. Vitale that rendered school prayer unconstitutional. As a result of this ruling, many religious believers began “to reconsider the role of religion in public life.” While this type of observation is largely correct when it comes to the historical record, it arguably recapitulates some of the less helpful tendencies of the longer study of the Culture Wars by only utilizing conservative political behavior as its evidentiary base. For Johnson, this decision encouraged conservative Christians (and not the more neutral “Protestants, Catholics, and Jews” as is written) to “reconsider” the role of religion in public life. In my estimation, this scholarly equation also needs to be articulated in the reverse in order to draw our attention to “how” we study the Culture Wars, especially in light of Johnson’s diverse array of reviewed texts. The state’s investment in liberal democratic principles and private/public binaries typically defines the terms of religion’s manifestation, or lack thereof, in the public square. As a result, when scholars examine this period the onus is typically placed on the conservative Christian actor, and not the liberal religious one, to reconfigure his or her tradition into a “religion” that is acceptable and recognizable in the public square. Rather than a reconsideration, then, as Johnson puts it, a broader and more energetic defense or counter-establishment movement began to mobilize in response to the ruling in order to “preserve the institutions that foster the virtues essential for good citizenship” as they, conservative Christians, understood them. In short, these were not simply disagreements over first amendment rights; as Johnson illustrates, they also signified the stakes of the Culture Wars themselves: fundamental disagreements over the composition of America’s foundational institutions and “their symbols of public culture” (Hunter 173). Without incorporating an analysis of those who supported such a decision and their respective style of activism, we continue to condone the idea of the reactionary conservative who bursts onto the scene in the 1970s without precedent or forewarning. A slight corrective to this approach, “the how,” would be to foreground what American religious historian David Hollinger has described as the encounter between differing styles of liberal and conservative activism in the public square instead of beginning our narratives with conservatives who “reconsider.” In this case, what notion of church/state separation undergirded the 1962 decision? To what extent did this decision reflect a regulatory philosophy of the liberal democratic state? And lastly, were certain forms of “religion” more conducive to the American public square than others? I commend Johnson for emphasizing the rhetorical nature of the Culture Wars and the power they possess to capture the public imagination. This methodological approach, one usually associated with sociologist James Davison Hunter, is especially pertinent for those who attempt to explain a cultural phenomenon that is seemingly timeless yet temporally bound all at the same time. In this sense, there are “Culture Wars” (conflicts over public symbols and their means of cultural production), the “Culture Wars” (Post-1960s to the Present), and “cultural warfare” (an idiom of religiopolitical conflict). This complexity is especially apparent when authors use spatial metaphors such as “ebb and flow” to describe the nature of cultural warfare in the recent US past. For many commentators, these conflicts seem to reach a fever pitch when played out within radical moments of prolonged socioeconomic change. In light of this, I would push Johnson’s analysis even further by arguing that “Make America Great Again” was not only persuasive, but it was also a brilliant example of ideological or cultural warfare. I would also argue that there is very little difference historically or analytically between what Johnson identifies as “the rhetoric of the culture war,” and language that appeals to racial prejudice or economic interests. Based on my research on the history and creation of “the Christian Right,” one of the most electorally successful applications of cultural warfare to the public square was the New Right creation of “the social issue.” Along with bible scorecards and checklists, which helped define an increasingly calcifying sense of Republican orthodoxy, the notion of “the social issue” explicitly utilized race and economics not only to reinvent the GOP along the lines of the “New Majority,” but also to recalibrate American politics itself according to the dictates of the burgeoning Sun Belt and its paradigmatic representative, Ronald Reagan. 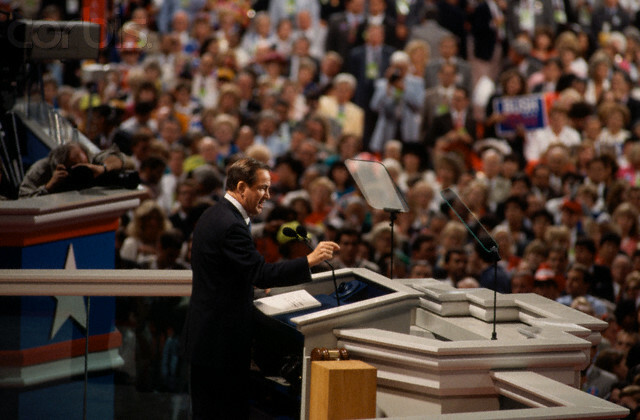 A relatively contemporary example of this can be found Pat Buchanan’s often-cited speech at the 1992 Republican National Convention, which possessed its own deployment and application of race as part of a strategy of culture war. Most analyses cite his claim that the Culture War was “a religious war . . . a culture war . . .” over “the soul of America.” Not only have we tended to take these images at face value, but we have also read them outside of their respective discursive context. In fact, Buchanan used race quite explicitly in his speech to galvanize the desired constituencies in attendance and especially those watching at home. With the LA Riots still in everyone’s rearview mirror, Buchanan brought his speech home that night by taking a page out of the very same Law and Order playbook he helped compose almost forty years before, “And as those boys [police officers] took back the streets of Los Angeles, block by block, my friends, we must take back our cities, and take back our culture, and take back our country.” Despite the discomfort that may accompany our reading of these words, their martial character cannot be lost on our collective attempts to explain and elucidate the nature of American cultural warfare in the recent religious past. In other words, we have to study such acts and terms more carefully as products of keen attention to branding, marketing, and rhetorical simplification as well as mass dissemination instead of taking them at face value simply for their content. As such, Johnson’s return to Hunter for scholastic clarity should be applauded. Hunter’s original analyses, while overly binary at times, remain the most thorough sociological treatment of the topic and its various manifestations in American public life to date. In particular, while Johnson uses Hunter’s notion of public discourse as taking on a “life of its own” to great effect, he nevertheless slightly confuses its scholarly application with broader references to the Culture Wars as “persuasive rhetoric.” For Hunter, the Culture Wars tended to take on a life of their own not simply because “something happens,” but rather because of the heavily mediated environment within which they typically unfold. “The polarization of contemporary public discussion is in fact intensified by and institutionalized through the very media by which that discussion takes place,” Hunter argues, “It is through these media that public discourse acquires a life of its own; not only do the categories of public rhetoric become detached from the intentions of the speaker, they also overpower the subtleties of perspective and opinion of the vast majority of citizens” (161). In this sense, the power of cultural warfare, as well as the Culture Wars themselves, has to be understood and considered within a larger environment of realignment and restructuring within the American mass media. This is also why we need to pay attention to those who are able to shape public sentiment in real-time including talking heads, commentators, advisors, strategists, and more, without reducing individual or grassroots agency down to manipulation or voting against one’s self-interests. We also have to remember that since the Culture War is “something that happens,” we must concern ourselves with the physical manifestations of this process as well. In other words, culture can hurt. In the right hands, it is capable of doing a great deal of violence to those who least expect it. 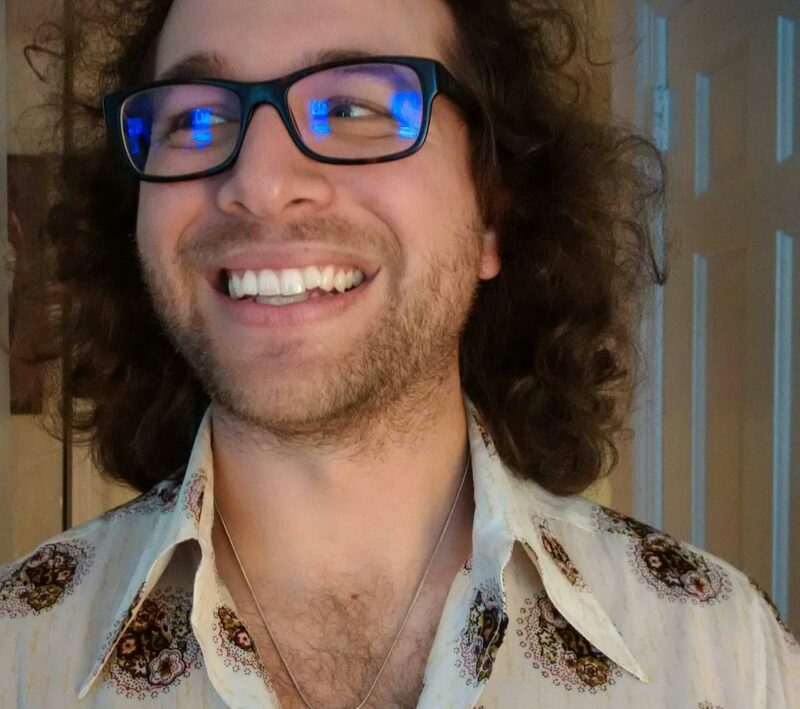 L. Benjamin Rolsky is a recent graduate from Drew University’s Ph.D. program in American Religious Studies. His work has appeared in a variety of popular and academic venues including Method and Theory in the Study of Religion and the Journal of the American Academy of Religion as well as The Christian Century, The Norman Lear Center, and The Marginalia Review of Books. His research and teaching interests include religion and politics, the study of popular culture, and critical theory. He is currently putting the finishing touches on a manuscript entitled, “Norman Lear and the Spiritual Politics of Religious Liberalism.” Once complete, he plans to begin research on a second book project that examines the history of the Christian Right across the 20th century entitled, “Inventing the Christian Right: A Religious History of the Public Square.” This Fall, Rolsky will begin serving as Adjunct Professor in the Department of History and Anthropology at Monmouth University in Long Branch, NJ.